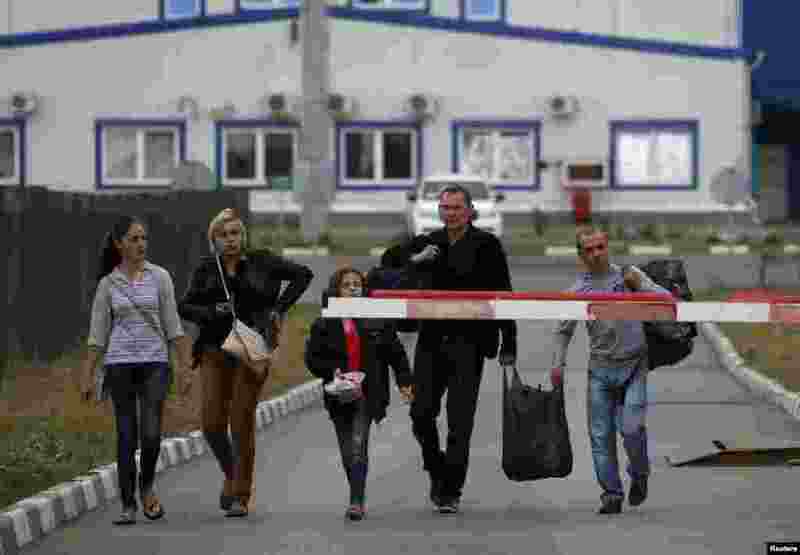 1 Ukrainian refugees walk from Ukraine into Russia at a border crossing point in Russia's Rostov region, Aug. 19, 2014. 2 A member of the Ukrainian military self-defense battalion "Donbas" sits in a school library, currently used as a medical post, in the eastern town of Popasna in the Donetsk region, Aug. 18, 2014. 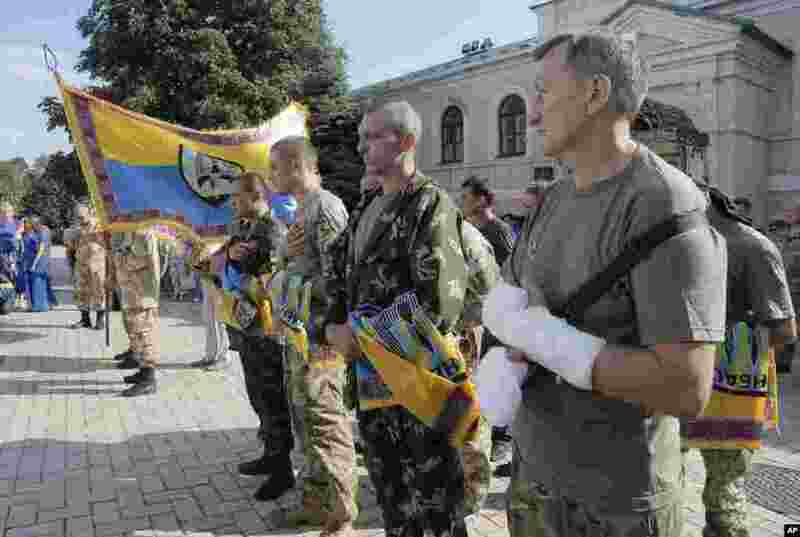 3 Volunteers of battalion 'Donbas' hold battalion flags during a blessing ceremony in St. Michael Cathedral in Kyiv, Aug. 19, 2014. 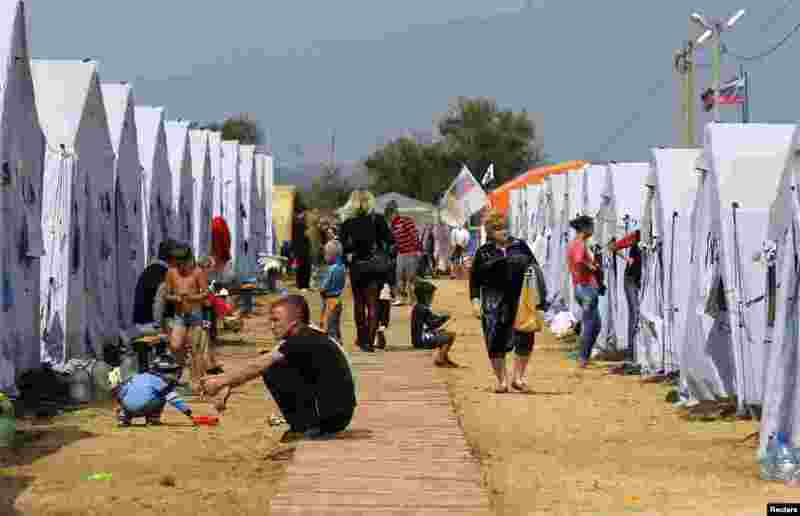 4 People go about their daily lives at a refugee camp set up for Ukrainians in Russia's Rostov region near the Russia-Ukraine border, Aug. 18, 2014.